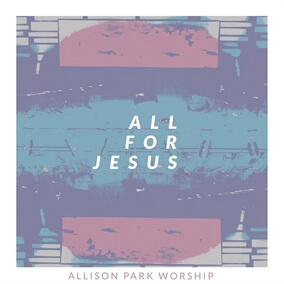 This week, we are excited to showcase All For Jesus, a brand new album from Allison Park Worship. This collective of worship leaders, songwriters, and musicians based in Pittsburgh, Pennsylvania desires to the create atmospheres where people can connect with God. They do this by crafting and leading songs with theological depth and declarative prayers that they refer to as "Songs with a mission."